Immigration has defined today’s presidential campaign more than any other issue. We’ve never seen so many sons of immigrants running for president – or imagined more depressing prospects than closing the door to immigrants who came after us, which some U.S. presidential candidates promise. Gender equality became another huge issue—because chances are Hillary Clinton’s coming on top. Put these two issues together and visualize the immigrant women who rose to speak their minds and published an “Open Letter to Presidential Candidates” on the HuffPost. These 100 immigrant women are not happy with the politicians’ recycled solutions – from border walls to mass deportations and guest worker programs – nothing new! They argue that immigrants and non-immigrants need one another. Their decision to walk 100 miles demonstrates their leadership, faith, and love. Their letter also signals that immigrant women are rising as a new social entity, spiritually and organizationally. Who gets it? There’s evidence that Hillary Clinton does! Thus, Lorella Praeli, the Peruvian-born woman who lived for 13 years as an undocumented immigrant, is now the director for Latino Outreach on Clinton’s presidential candidate’s campaign—and President Obama graced the naturalization ceremony where she became a citizen. An activist for immigrants’ rights, Lorella belongs to a new breed of immigrant women: talented, vocal, and highly visible. Is it diversity dynamic or what? “Diversity Shield” is my way of referring to “affirmative action” first used in Executive Order signed by President John F. Kennedy on 6 March 1961; it comprises law and regulations associated with the benefits sought to bridge inequalities in employment and pay, increase access to education, and redress past wrongs, i.e., to protect those underserved, underappreciated, and underrepresented. The Diversity Shield evolved with the time. African Americans and then some other minority groups got protection. It’s also been extended to other populations that needed more leverage: women, people with disabilities, lesbian, gay, bisexual, and transgender communities. At diversity forums, we also discuss generations and veterans—because some are vulnerable and need attention. So, as time goes by and national compassion capabilities grow, Diversity Shield becomes more inclusive. Or does it? They face the new culture and language challenges – in addition to typical hurdles that all women have, such as glass ceiling and life-work balance. This language-culture liability makes them the underdogs in a society with little leverage for women and plenty of prejudice against immigrants at large. Ani Palacios McBride, a journalist and communications professional, became a successful entrepreneur, award-winning writer, and US-and-Latino culture ambassador. She (pictured below) started writing about her immigration experience in 1993—and built her entire career on the fact that she’s an immigrant who wants to help others use some shortcuts to success in America. With her husband Felix, she created a news aggregator website Contacto Latino, delivering 6,000 daily news of original content in English, Spanish and Portuguese. It became extremely popular among Latinos and other news readers. In 2010, Ani launched Pukiyari Publishers that creatively combined the flexibility of self-publishing with traditional publisher’s pampering – for the indie Spanish-language authors. Ani learned hands-on that emigration is not for the faint-hearted: “We’ve given up so much to be here; we are not going to play around but take every opportunity and take it as far as we can.” Her dedication paid off: she became known as publisher of several Hispanic-focus newspapers and web sites. 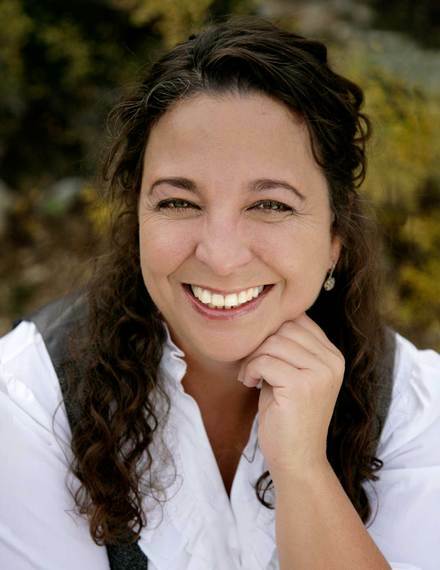 Ani’s self-help book “Living in a Double World” won the International Latino Book Award in 2011, and three of her novels also won this award, in 2011, 2012, and 2014. Ani received multiple awards for her work with the Hispanic and other immigrant communities. She became a double cultural ambassador: on the one hand, explaining that the Latinos in the US should be marketed to with different strategies – and on the other hand, becoming a recognized US guide for all Latinos who want to integrate and thrive in the US. 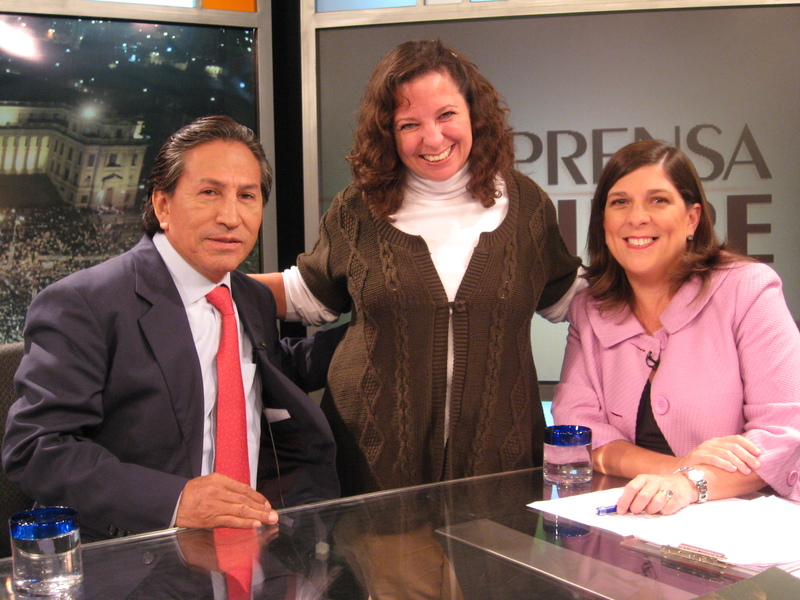 On both accounts, she is a success (pictured with former Peruvian President Alejandro Toledo and acclaimed political commentator Rosa Maria Palacios). Ani’s American achievements turned out better than anything she ever imagined—because she pushed herself harder in America, to prove to herself, her friends, her prominent family in Peru – and the world – that she could make it on her own, without the help of the family’s last name. The point: Ani loves working with multiple media—and media loves her back: all her publications and web portal enjoy lasting success. She’s a living proof that immigrant women are a growing influence to be counted with. How to Make America Stronger? As American immigrant women become a tangible force, recognizing their contributions is one of the ways to make America more united and stronger—provided we don’t trust the politicians promising simplified solutions to immigration issues. There are no simple solutions, and their barren promises prove they don’t understand what they are talking about. Share it!